Whoopie pies. On a wedding cake. My day is complete. 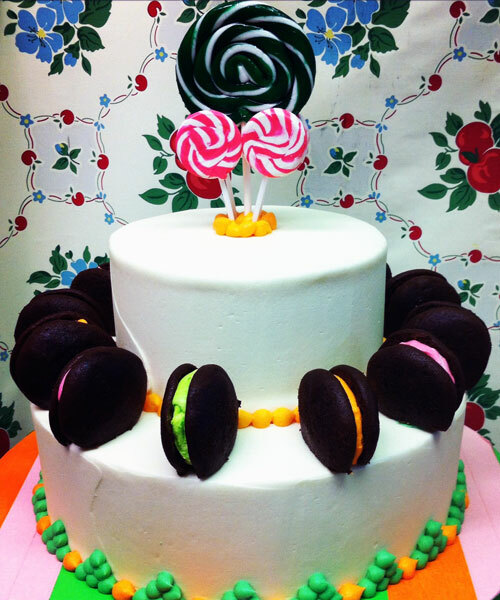 This cake would be perfect for a reception with a festive, carnival theme or if you’re just looking for something totally out of the ordinary. 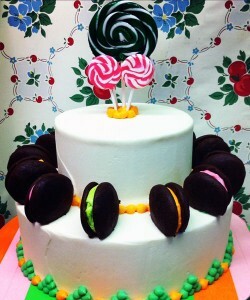 The simple white cake is adorned with multi-colored whoopie pies (so much love) and swirled lollipops. It’s the winner for most fun wedding cake ever. You can find this cake here. It was created by The Little Daisy Bakeshop.